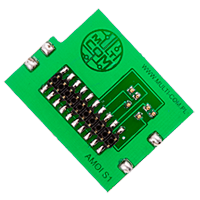 JTAG for AMOI S1 adapter it's special PCB with mounted pins to allow for repair boot in AMOI S1 phones without any soldering to PCB using JTAG devices as Omnia Repair Tool or other device. So it's great time to have all before starts. 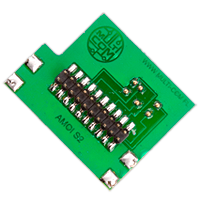 JTAG for AMOI S2 adapter it's special PCB with mounted pins to allow for repair boot in AMOI S2 phones without any soldering to PCB using JTAG devices as Omnia Repair Tool or other device. So it's great time to have all before starts.